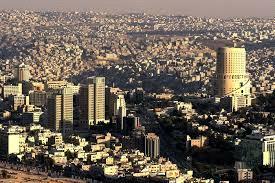 AMMONNEWS - The outlook for the Jordanian economy shows new momentum, as the Arab nation aims to reverse its public deficit to a downward path in 2019, the International Monetary Fund said. To reduce the combined public deficit to 2.5 per cent of Gross Domestic Product (GDP) in 2019, the Jordanian authorities have taken several measures, including the adoption of a new income tax law. “Critical to this goal is the steadfast and unwavering implementation of the new income tax law, together with a significant strengthening of tax administration to overcome the marked revenue under-performance of 2018,” said Martin Cerisola, assistant director at IMF, in a statement issued by the monetary fund on Thursday. Jordan’s efforts to rein in the combined public deficit, from 3.8 per cent of the GDP in 2016 to 2.9 per cent in 2017, proved lacking in 2018. Last year, it rose to nearly 4 per cent of GDP. The country’s new income tax law expands the tax base in an equitable manner, protecting the middle class and helping specific sectors severely affected by regional conditions. A team from the IMF visited Amman from January 27 to February 7 to discuss the country’s recent economic developments, as well as the authorities’ economic policies and reforms under a programme supported by a three-year IMF Extended Fund Facility arrangement. Despite challenging external conditions, exports from Jordan were increased last year - supported by the re-opening of the border with Iraq - while tourism has grown strongly, noted the IMF. However, external financing conditions remained less favourable, most notably with a significant slowdown in foreign direct investment inflows. The IMF said that broadening of the trade agreement with the European Union, as well as other efforts to lower the cost of generating energy, all bode well for a steady recovery in investment, exports, competitiveness, and growth in the coming months. However, challenges still remain, particularly from tighter and more volatile global financing conditions and elevated vulnerabilities. To successfully confront challenges and improve economic performance, the IMF team and the Jordanian authorities have reached on an agreement on policies and reforms for 2019. “These policies and reforms need to be supported by significantly greater efforts from the international and regional donor community,” said Mr Cerisola, who led the IMF’s mission to Jordan.